By auditioned invitation, this class focuses on the importance of pulled up muscles, engaged core, strong feet and ankles. Some students will receive their pointe shoes for this class, while others are still preparing for them. To receive pointe shoes, one must be of adequate age, have strong muscles to support their frame, proper body placement, have a concentrated work ethic, and take three or more ballet classes a week. The student is evaluated before receiving pointe shoes. 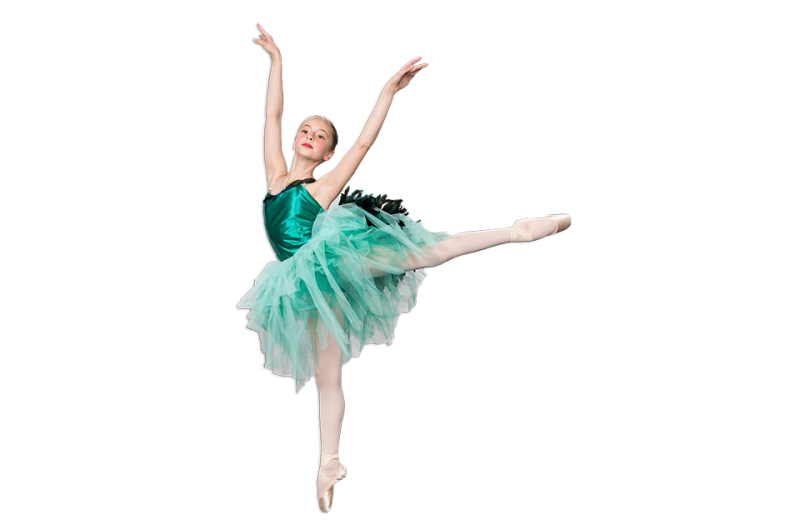 Some students may be honored with an invitation to participate in the Northern Vermont Ballet Company classes. Taking NVB classes does not automatically include the student in NVB performances; however they may be invited to audition for certain pieces. Maximum Potential: Three ballet classes & two pointe classes. Pointe Prep Minimum Required for Ballet Program Student: Three ballet classes per week. Recreational Dancer: One to two classes class per week. B2 and up have a minimum number of classes required per week for all students working on or toward pointe shoes. When taking the minimum number of classes, you are considered a Program Student. We offer multi-class discounts to make higher level training more affordable. Recreational Dancers have no minimum number of classes, however this may affect placement, growth rate and role casting.